brutal, here in ontario, we only have 14% tax on our products. 7% goods and services tax and 7% Federal sales tax. or 6% gst and 8% sales tax. i know one or the other had gone down one percent and we're at 14% tax. So now cloasters is a bot and Daniel thinks he is sane...What is the world coming to? Last edited by Samuknow; 14th March, 2007 at 02:35 AM. and i'm stuck in the 14th century! Hey! I said it was a reach! Yeah? How do we know that's really you and not someone just dressed up like you? 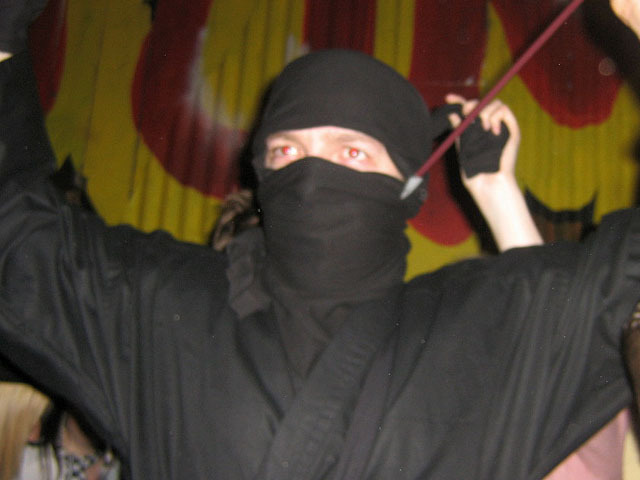 It is more likely to be someone dressed like me than it is to be somone having actually managed to capture a photo of me in ninja mode that much is true. But in this rare isntance the photographer is also a ninja, in thats it's me being so fast I can take a photo of myself. I have to accept that as proof. How much ya need not to kill us all? (BTW please don't cut off an "A" and send it to us a "Proof of life". We're convinced! 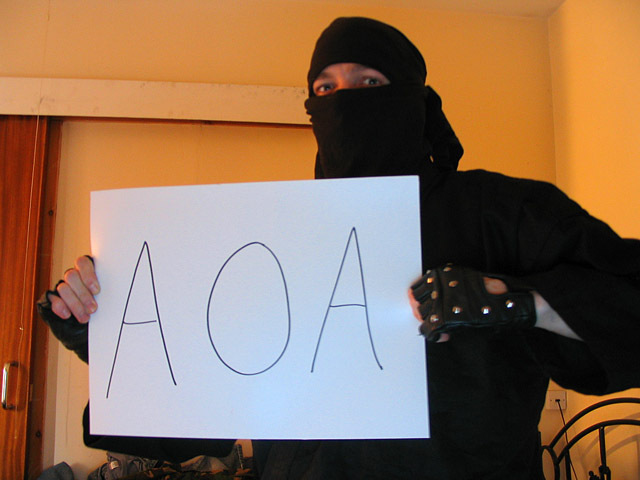 Graham the pic is mirrored, hmmm, how did you manage to get AOA right?? ?